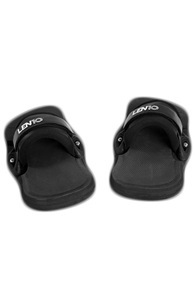 Looking for LEN10 Kiteboard Gear? Kitemana! When you think of extreme kiteboarding, you are thinking of Ruben Lenten. This Dutch kitesurfer is praised by its megaloops and can not be stopped when the wind meters shoot in red. Ruben Lenten travels the world, looking for the perfect storm to go faster and higher than ever before. Ruben is a source of inspiration for many kitesurfers in the scene and his style and jumps are characterized by a lot of explosiveness. The harder the wind, the better. Go big or go home! 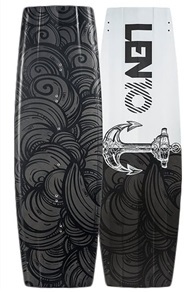 We sell Rubens signature kiteboard, the Captain Carbon. Do you have a question about this Len10 Captain Carbon or would you like to test it once? Call or email us. Ruben's life has always been about kite surfing. From a young age Lenten has the drive to get to the top of the kiteboard scene. When his dream seemed to fall apart due to an injury, he decided to take a different approach. He wanted to make kitesurfing known to a larger audience. According to Ruben, the - WOW factor is the way to reach more people and show them how cool the sport is. 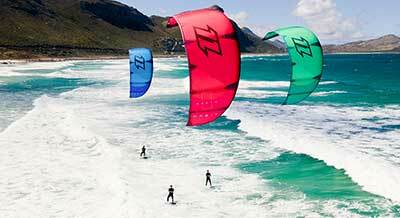 Thanks to kite surfers such as Ruben Lenten, the sport has become the popular water sport it is today. More and more kite surfers are starting to experience the adrenaline rush that Ruben has been so addicted to for years. Today Ruben Lenten organizes megaloop competitions in cooperation with its sponsors. Big Air contests in which kiters push themselves to the limit to go harder and higher than the opponent. This competition is also held once a year in the Netherlands. Wooop! A few years ago Ruben Lenten has launched a new kitesurfing brand, LEN10! Ruben sells clothing, kitegear and accessories, inspired by his extreme lifestyle. We of course sell the Captain Carbon, Rubens signature kiteboard. This board is made for kite surfers that are demanding. 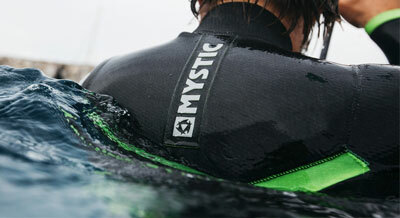 A board with a carbon construction that is both light and strong and suitable to go very hard and high. 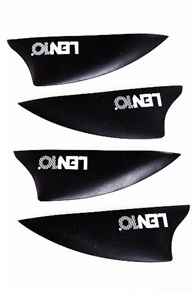 Besides the Captain Carbon we also sell the fins and accessories from Len10. Do you have a question about Len10 products? Just call or email us!